January has brought with it icy arctic weather. The new year has brought with it icy arctic weather which has hung around for most of the month. We’ve had our first snowfall of the winter transforming the garden into a beautiful winter wonderland. Frosty or snow-covered soil leaves us gardeners redundant as few jobs can be carried out in these conditions. At least it has been dry for most of the month which means we have been able to continue tidying and cleaning in the potting shed and greenhouse. I’m not sure we’ve ever been this clean and tidy and ready for a new season to begin! Early in the month, keen to undertake some gardening, we set up the heated geopod propagator in the greenhouse and began sowing seeds. It was soon filled up with tray after tray of seed compost containing aubergines, chilli peppers, celery, celeriac and brussel sprouts. 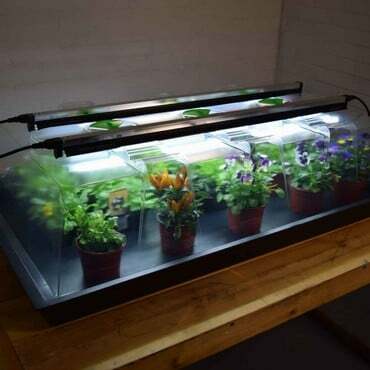 Propagators are a bit like greenhouses in my experience; it doesn’t matter how big it is, you could always do with a bigger one! By the end of the month we had seedlings appearing and we’ve been checking on them daily and adjusting the temperature to make sure they don’t grow too fast and become ‘leggy’, as well as keeping them watered and watching for any signs of rotting off. Outside, we have had very few days where the soil hasn’t been frozen and unworkable, but we were able to make the most of a mild day to dig our runner bean trench. January is the ideal time to do this and begin filling the trench with household composting waste and well-rotted manure. Bean plants are hungry feeders and love the goodness and nutrients provided by the rotting waste. We have pruned our autumn raspberry canes down to the ground this month. They’ve been given a generous, thick mulch of well-rotted farmyard manure as well as a sprinkling of wood ash from the fires in the house. This will give them a good feed and beef up the soil ready for the growing season. All around the garden, now is a great time to get mulching. Both kitchen garden and ornamental garden benefit hugely from a generous covering of manure, homemade compost or leaf mould. All those weeks of raking leaves is about to pay off. The leaves we collected in autumn 2015 are now a beautiful crumbly soil improver. 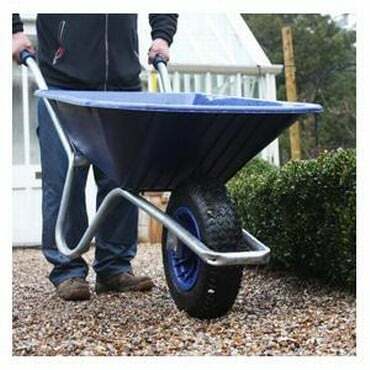 This can be used straight from the leaf mould composter, however we like to put it in a large compost tumbler along with some well-rotted manure for a few weeks before loading it into the wheelbarrow and transferring it to the garden. It is lovely stuff, and does wonders for the plants. A perfect job for a cold, frosty day. Our manure supplies have dwindled over the winter and we still have a lot of soil that will need a good dose of something to beef it up ready for the coming growing season. We have contacted a local farmer to arrange a further delivery of well-rotted farmyard muck. We are very lucky to be in the close vicinity of farmers who can supply this, but in the absence of this type of arrangement, farmyard manure can be brought in bags from garden centres. Otherwise, home-made compost from your compost bin can make a good substitute. Our delivery will be arriving any day now….. In the past couple of days, we have taken delivery of our seed potatoes. One again we have ordered our favourite varieties of Cara, Desiree and Charlotte. They have been laid out in seed trays to start them chitting. Once neatly arranged with their ‘eyes’ pointing upward, the trays have been put in a cool, light, frost free place until they are ready for planting in a couple of months time. • Sow tomatoes and peppers. 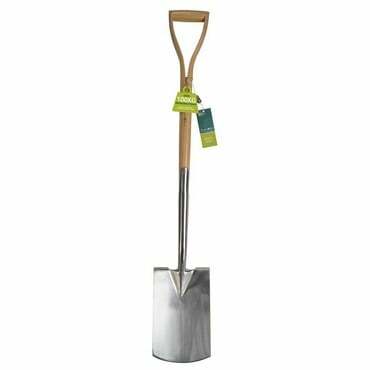 • Dig main raised beds and incorporate well rotted manure.